US equity indexes closed moderately higher, sp +7pts at 2465 (intra high 2469). The two leaders - Trans/R2K, settled higher by 0.5% and +0.2% respectively. VIX -4.9% at 11.63. Near term outlook offers the 2430/20s within 2-4 trading days. 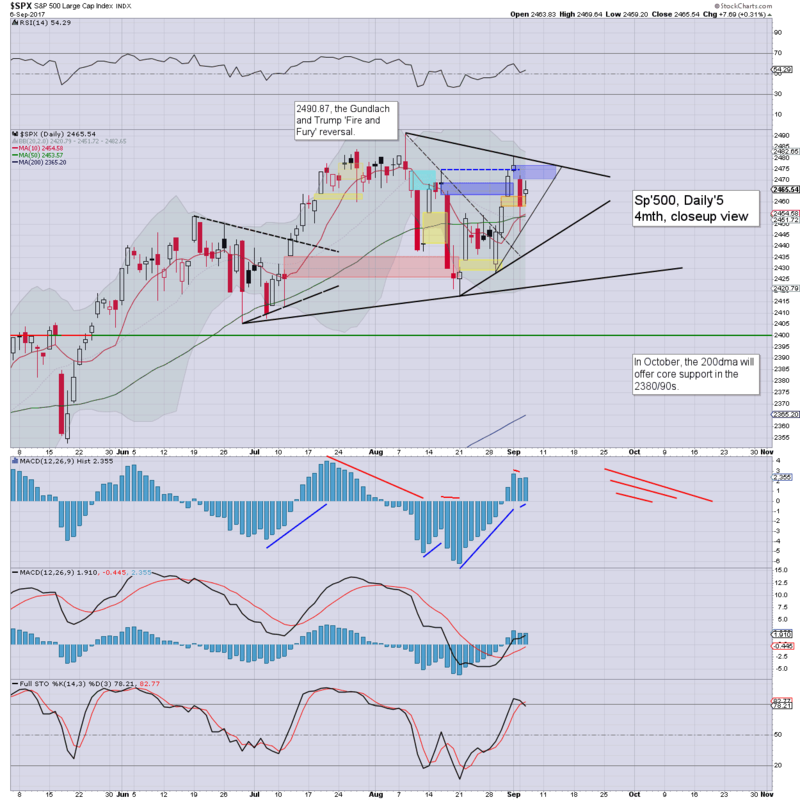 More broadly, the key 2400 threshold looks set to be at least briefly broken this Sept/Oct. US equities continued the bounce from the Tuesday afternoon low of sp'2446. The closing hour saw an intra high of 2469.64, just fractionally shy of the upper gap zone of 2470/76. Its possible that might be partly filled tomorrow, but broadly.. renewed weakness to the 2430/20s seems very probable. 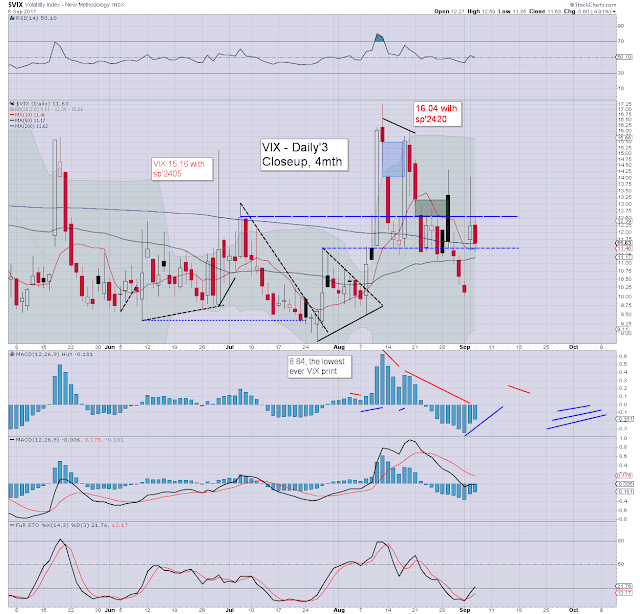 With equities continuing to claw upward, the VIX was in melt mode, settling lower in the mid 11s. If sp'2430/20s within the near term, that should equate to VIX back in the mid teens. For the key 20 threshold, we'll surely need sp<2400, and that looks far more viable in late Sept/early Oct'.